When it comes to purchasing a home, there are many things that need to be taken into consideration. Unfortunately for many buyers, the thought of checking on the home’s insurance history is something that never occurs to them. After all, if you have a clear history, you shouldn’t have any problem getting coverage, right? Wrong. The reality is that you may have difficulty obtaining homeowner’s insurance coverage if the home you are purchasing has had many claims filed against it. For this reason, it is important to know more about the Comprehensive Loss Underwriting Exchange (CLUE) and how it can affect your home buying experience. CLUE is a comprehensive database that has been in existence for more than 10 years. Within this database, every claim that has been filed against a property is recorded for other insurance companies to access. While the database has made it far easier for insurance companies to share information, the database can make it more difficult for home buyers to obtain the insurance coverage they need. In order to respect the privacy of home owners, the company that owns the CLUE database will only release a copy of the report to the person who owns the home. Therefore, you cannot order a report on your own. You can, however, require a copy of the report as part of your purchase transaction and you can make the sale contingent upon what you find in the report. Since the CLUE report can be such an important issue in the home buying process, those who are selling their homes should obtain a report prior to putting their homes on the market. Federal law allows consumers to review their report at any time, so sellers should order one ahead of time in order to look for potential errors. If errors are found, homeowners can dispute the errors with Choice Point, which is the company that owns the database. 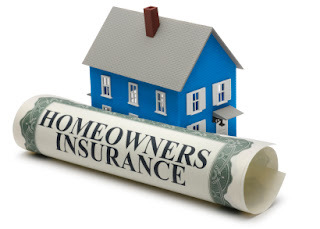 Choice Point will then contact the insurance company on behalf of the homeowner in order to resolve the dispute within 30 days. In addition to receiving coverage even under these circumstances, you can save on your insurance costs by making sure to take advantage of available discounts, by installing smoke detectors and security devices in the home, raising your deductible and maintaining good credit.